When it comes to living a balanced and happy life, money is just one of the many resources any one of us has at our disposal. It's a powerful one. It's a tool that allows us to give, obtain, and experience. 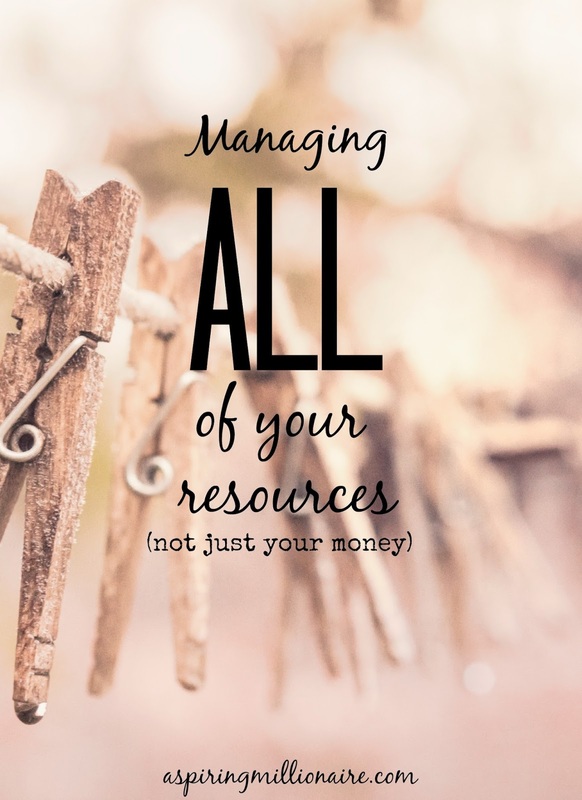 But if you're ever in a spot where money is limiting or controlling you, remember that you do have other resources you can turn to that can be equally as powerful. Everyone has experience in something. While that something may seem mundane or easy to you, it's valuable to someone else out there. In traditional situations, we put our knowledge and skills to work literally, spending our time at them in exchange for a salary. There are other ways to apply your skills. You can use them to help your community. You can use them to barter with someone who would provide a valuable service to you with their own knowledge base, avoiding the exchange of money completely. You can also provide them to help your network, growing your community and establishing trust and name recognition for yourself later down the line. The definition of your community will vary so much depending on who you are. It may be your family. It may be your church group. It may be your professional network. It may be close friends that you've had since you were young. You may belong to many communities, and recognizing and caring for each one as a resource is an important concept to internalize. When you hit hard times, your community will be there to help you out. Just ask them. The type of community will determine how and when you go about that. (You wouldn't approach your professional network the same way you'd approach your family.) But the beautiful thing about communities is that someone is always there willing to lend a hand. They will be, that is, if you have nurtured them. Community isn't just about taking; it's about giving. Mind your networks the same way you would your finances. If you're not contributing, you can't always expect to be able to make a withdrawal. Time is possibly our most valuable resource, and it's one we all have an equal amount of on any given day. How we choose to spend that time determines so much in respect to our quality of life. We can spend it working to obtain more money. We can spend it serving our communities. We can spend it honing our skills. We can spend it relaxing. We can spend it laughing. We can spend it spent and completely stressed out. 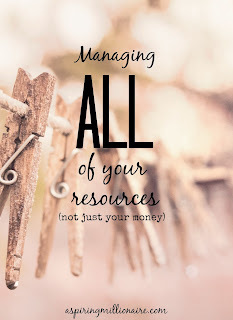 But when we recognize it as one of our resources and tend to it in the same way as we would our finances, we're more likely to get the most out of it. That's not to say that everyone has the same freedom with their time. You may have kids, which take up a huge chunk of your time. (Not that they're ever not worth it.) You may have a job that demands you allot a serious portion of your time to your work. Whatever those demands are, evaluate what matters most to you. That is what you should be spending most of your time at. It likely means sacrificing in other areas, but it also means living a fuller, happier life. Time is the one resource we can't rebuild, get back, or gain interest on, so it's important to use it wisely. Are there any other resources I missed? I'd love to hear your thoughts in the comments.